No doubt, all eyes will be on Rio de Janeiro ahead of the 2014 World Cup and 2016 Olympic Games. With sport being in the centre of the attention, we believe it’s just as important to create some balance, because as everyone knows: football is best enjoyed with some art experiences around it… No, is this news to you? Well, it might be, but we think that combining the two is not a bad idea at all. In two Rio guides we present the cultural scene of the ‘Ciudad Maravilhosa’: here below we focus on the art experiences the city offers by presenting 21 art museums in Rio you should know about, and in our other guide we take you the reader through the city’s diverse areas and show you what you can find there. Our downloadable guide – including all the 21 venues featured in this article, and filled out with more over some 50 pages – is now available for you to take with you. 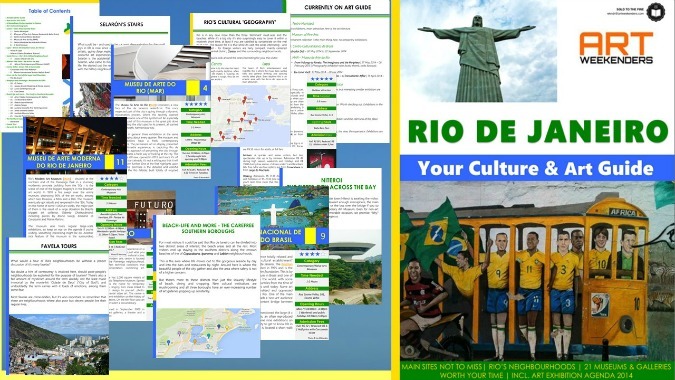 It can be downloaded from the online platform Gumroad by following the following link: Art Weekenders Cultural Travel Guide to Rio de Janeiro. With so much focus on the outdoor sites of the city, like Corcovado, Ipanema, Parc Tijuca or the Sugar Loaf Mountain, it’s easily forgotten that Rio has a rich variety of exciting museums and art institutions. Most of them are located in the Centro, but the spreading is well underway to other areas, just like the status of art in general is broadening its spectrum across the city. Teatro Municipal (A), in the heart of Rio’s center, is one of the most beautiful cultural edifices in Brazil and possibly on the entire continent. The theatre has its origin in the late 19th century when the culturally awoken Cariocas – people from Rio, in case you wonder – started to crave theatre performances, but few theatres were actually around. After four years of construction, the venue finally was inaugurated in 1909, with a capacity for more than 1,700 persons, which later got extended further. When the Rio de Janeiro Symphonic Orchestra was established in 1931 and big name celebrities like Toscanini and Stravinsky came to perform, the ultimate pivotal era in the history of the theatre was a fact. In fashion with the cultural winds of the time, in the beginning the theatre was only performing foreign acts, especially opera. These days it’s mainly used for ballet and classical music performances. Teatro Municipal went through a total overhaul in 2008, for the fourth time in its history, timed for the centennial anniversary of its existence. While it’s a beautiful building from the outside, the inside might even outperform it. Being modelled on the Paris Opera, the design and decoration are the works of the biggest Brazilian craftsmen and artists of the time, like Eliseu Visconti and Rodolfo Amoedo. A good advice is to plan your visit for early mornings, since the guided tours have limited space; the first visit of the day is at 10 am, good if you are there a bit in advance. 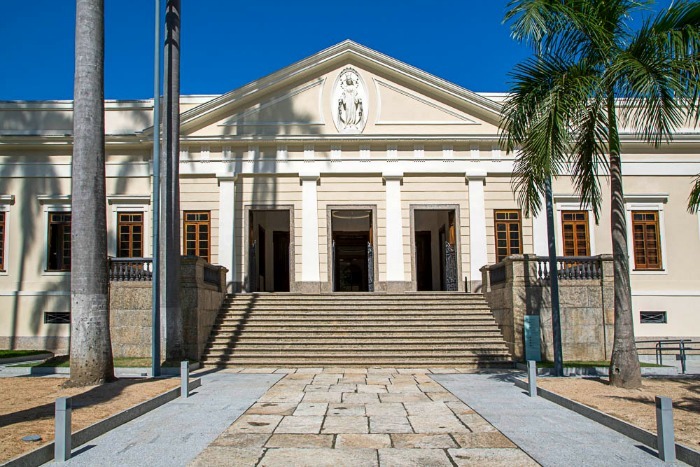 The Museum of Fine Arts (MNBA) (B) is a place with a rich collection of Brazilian art, spanning over a century, including many contemporary masterpieces. MNBA was established formally in 1937, after existing in various other forms and at other locations earlier. Today it is undoubtedly the most important institution for Brazilian art. It contains some 20,000 works, a wide selection ranging from paintings to sculptures, drawings and prints. The collection includes an extensive selection of African art too, which also happens to be one of the best African collections worldwide. The MNBA building is strongly inspired by the Louvre and is listed since 1973 as a national heritage monument. The MNBA is very easy to reach, situated just outside the Cinelândia metro station. The staff is friendly, visitors are allowed to take pictures and both the learning as well as the entertainment potential is high. Admission: Free. A ticket still needs to be issued, for the statistics. If you’re expecting just another branch of the Brazilian Bank, you’re in the wrong place. 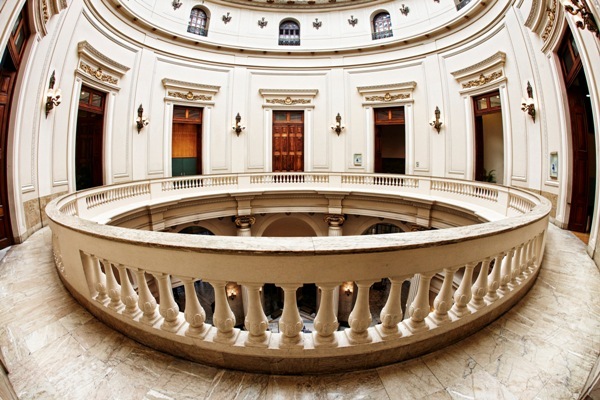 Instead Rio’s ‘Centro Cultural Banco do Brasil‘ (CCBB) happens to be one of the 100 most visited museums in the world. Together with the two sister institutions in São Paulo and Brasilia, the Bank of Brazil created some cultural centres of very high quality. The Rio de Janeiro branch is highly appreciated by the local ‘cariocas’: the museum has an estimated 2.2 million visitors per year. The early seeds for the cultural centre were sown in 1986 and it finally opened its doors to the public three years later, in October 1989. On the other hand, the building it’s housed in was constructed already in 1906 and served for a long time as the headquarter of the Bank of Brazil. In the nineteen-eighties when restoration of the building became a necessity, the idea of transforming it into a cultural centre was a well-based and important moment for Brazilian art. The main feature of this art-deco building is its rotunda and the century-old classic elevators still in use today. Today the CCBB houses theatres, a cinema, a library and several exhibition halls. The exhibitions hosted have an international profile, always of the highest quality and… it’s free. A perfect spot for winding down in the middle of the hectic city center. 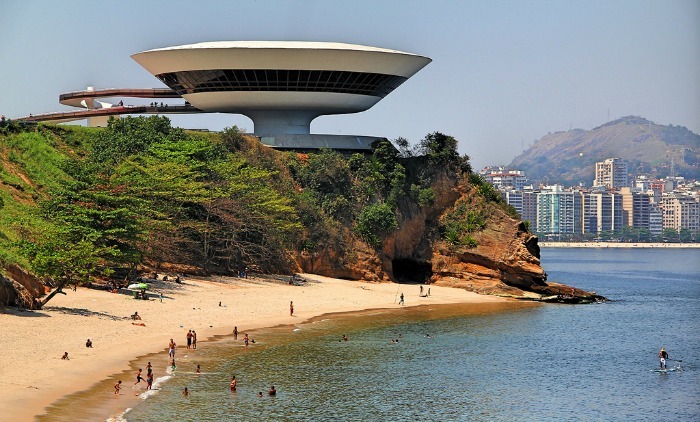 The Museu de Arte do Rio (D), colloquially called MAR, is representing a new face of Rio de Janeiro’s waterfront. This once neglected part of the city is going through a dynamic rejuvenation process, where this recently opened art museum became one of the symbols of the project. One especially intriguing part of this museum is the great job done of connecting the city’s past to its present, all carried out in a smooth and harmonious way. There are in general three exhibitions on show at the same time, changing about every quarter. The museum and the exhibitions have a fresh, contemporary atmosphere. The permanent art on display, presented as a multimedia experience, is depicting Rio de Janeiro. This approach of presenting the city through the arts creates a fresh way of looking at the city. The museum is still new, opened in 2013, and since it’s off to a good start already, it’s not a wild guess that it will improve even further. One of the first highlights upon entering the premises is the detailed and colorful model of the Rio hillside, built totally of recycled material. Admission: Full fare: R$ 8.00 | Reduced: R$ 4.00 | Free on Tuesdays. 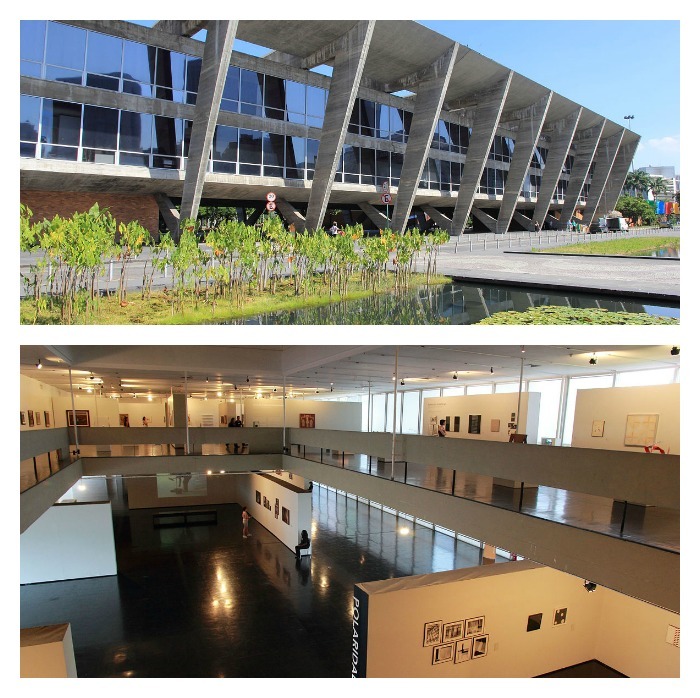 Rio’s Modern Art Museum (MAM) (E) – situated at the northern end of the Flamengo Park in a stunning modernist concrete building from the 1950s – is the scene of one of the biggest tragedy’s that happened to the Brazilian and actually even the global art world. In 1978 a fire swept over the entire museum, destroying 90% of the art works in the museum, among which two Picassos (“Cubist Head” and “Portrait of Dora Maar“), works by Miró, Salvador Dalí, Max Ernst, René Magritte, Ivan Serpa, Manabu Mabe and many more. All artworks of the artist Joaquin Torres García also fell victims to the disaster, especially from a Brazilian point of view – and from the standpoint of one individual – a great catastrophe. The museum eventually got rebuilt and reopened in the ’80s. Today it’s the home of some 11,000 art works, the major part of them are the result of a large donation by one of the biggest art collectors Brazil ever seen, Gilberto Chateaubriand. In the collection are many great Brazilian works, for instance pieces by Bruno Giorgi, Emiliano Di Cavalcanti and Maria Martins. The museum is also the host of regular large-scale exhibitions, so keep an eye on the agenda if you’re visiting, you might come across something great. Another great feature of the museum is the surrounding modernist gardens, the work of the famous Brazilian landscape architect Burle Marx. The museum is yearly housing a film festival in May as well as high-quality photography and design exhibitions. This 19th century neoclassical building (F) once housed the Conservatory of Music and Dramatic Arts and today is the home for an avant-garde museum dedicated to the work of Hélio Oiticica. Oiticica was a Brazilian visual artist, especially known as one of the members of the Neo-Concrete group, and got especially famous for his innovative use of colour. Internationally he became especially famous in the 1960s for his installation works the viewer could be a part of, most famously his ‘Tropicalia‘ and the movement created as a result of it. The museum displays permanent works of Oiticica, but also daring and interesting contemporary art exhibitions, well in harmony with Oiticica’s forward-leaning ideals. 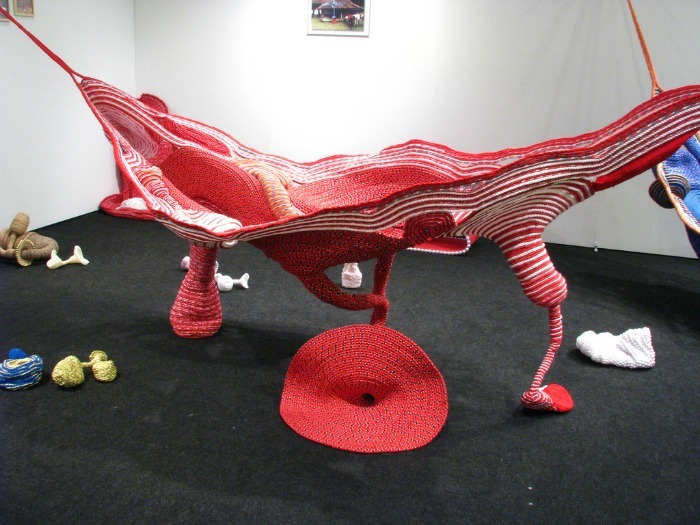 A Gentil Carioca (G) has been around since 2002 and it’s the common project of three of the major names in Rio’s contemporary art scene: Ernesto Neto, Marcio Botner and Laura Lima. Besides being a traditional exhibition place, ‘A Gentil Carioca‘ also serves as a spot where artists and art viewers can produce and reflect over the world of the arts. The choice of the spot was neither a co-incidence: located in the centre’s Sahara (or Sa’ara) district, this is the area where Arab and Jewish immigrants settled a century ago and where the largest open air market in Latin America is located. You can expect visually pleasing exhibitions, often with surprising art installations. Don’t forget to check out the exterior wall of the gallery, every four months or so a new large-scale installation is likely on show. 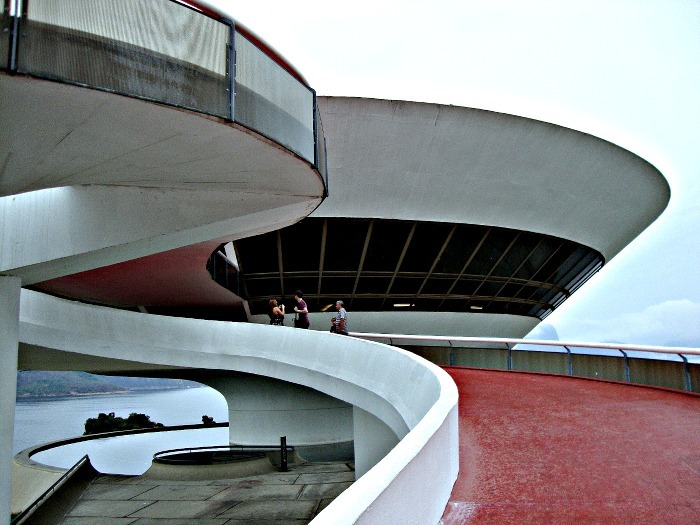 While technically speaking not in Rio de Janeiro, among the city’s cultural highlights we’ll need to sneak in a venue from the city across the Guanabara Bay, from Niterói (H). It’s a nice museum, by all means, but the main reason that you need to visit is the actual building. And what a building it is. 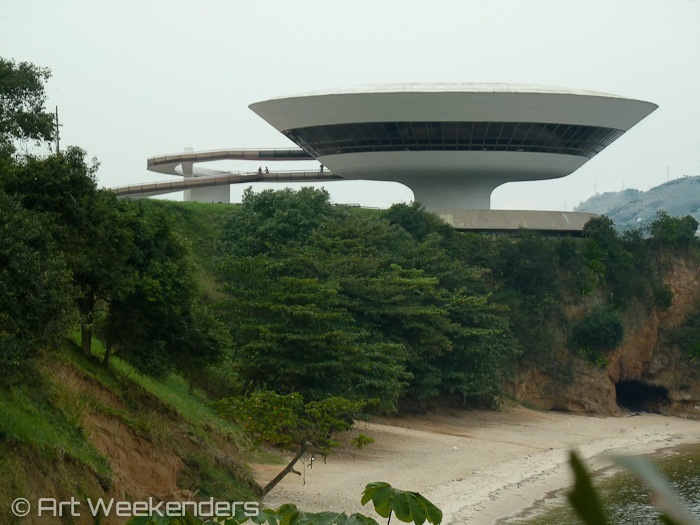 Finished in 1996, this is yet another of the famous Brazilian architect, Oscar Niemeyer’s, masterpieces. Wouldn’t you know better you could take it for a UFO from a distance, and the flying saucepan shape of it is exactly what will mesmerise any visitor immediately. Very typically for Niemeyer, the rounded shapes and beautiful symmetries make it into an experience to cherish for a lifetime. The building is 16 meters high and its three-floored cupola is 50 meters in diameter. Underneath the building is a gigantic pool in which the MAC reflects itself, “just like a flower”, to use the late-architect’s own words. Another great feature of the building is the ramp circling up to the entrance, a great environment for photographers enjoying the curves and shapes of geometry. And then there’s the view as well… on a clear day overlooking Rio on the other side of the bay. Vistas could surely be worse than that. Once inside, again the shapes of the building will captivate the visitor. The exhibitions are not bad either, but maybe not on parity with the class of the actual building. Nonetheless, it’s a well-curated museum with interesting insights into the world of Brazilian artists. If you’d like to see more pictures, please visit our sister-site Shoutography. If you like visually strong and different experiences in a contemporary fashion, Oi Futuro (I) might be just what you are looking for in Rio. A new addition to Rio’s cultural scene, opened in 2005, this modern arts centre is located right at the edge of the Flamengo neighbourhood. The cultural centre offers technical conditions that allow the constant experimentation, combining art, science and technology. In Flamengo they have 2,000 sq meters of exhibition space in the old Telephone Museum. Spread across six floors, the centre is the home for temporary multimedia installations ranging from ideas linked to architecture and urban design to pop-art, photo-journalism and experimental video art. 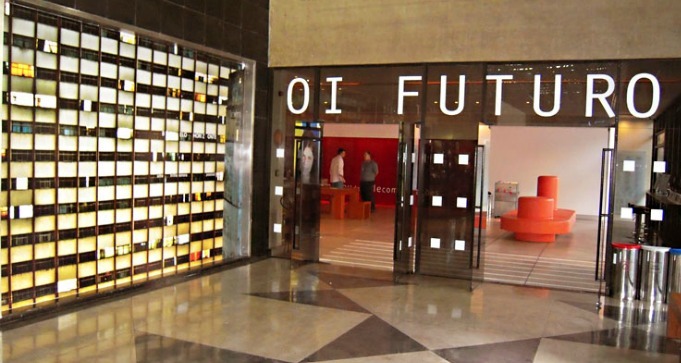 The centre is also home to a permanent exhibition on the history of Brazilian telecommunications. On the sixth floor visitors can attend concerts, plays, or watch a documentary. A second centre opened in September 2009 in Ipanema, where two art galleries, a theater and a bistro entertain the visitor. This centre is likewise equipped with ​​public art, large video projections, photography and live cinema. Would you like an art experience totally relaxed and far from the norms of the cultural establishment? This is your place in Rio then. 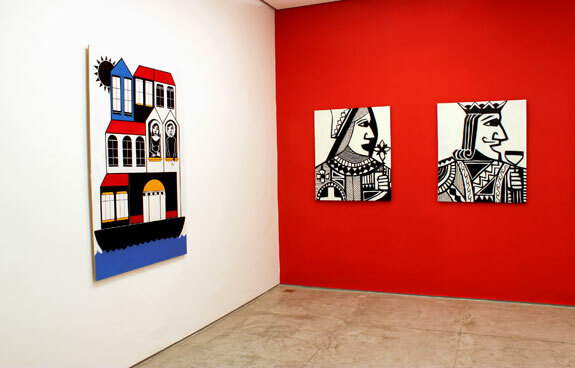 The Brazilian Naive Art Museum (J) was founded in 1995 and it is the initiative of the Lucien Finkelstein foundation. This is by far the largest naive art museum in Brazil and likely one of the bigger and best ones in the world, with some 5,000 works from some 100 countries from the time of the discovery of the Americas until today. Naive art – also called primitive art – often deals with the marginalised and oppressed people, no exception here in Rio. One of the main goals of the museum’s is to reach an audience that normally wouldn’t go to an art museum and thereby creating an important bridge between these two often opposing ends. 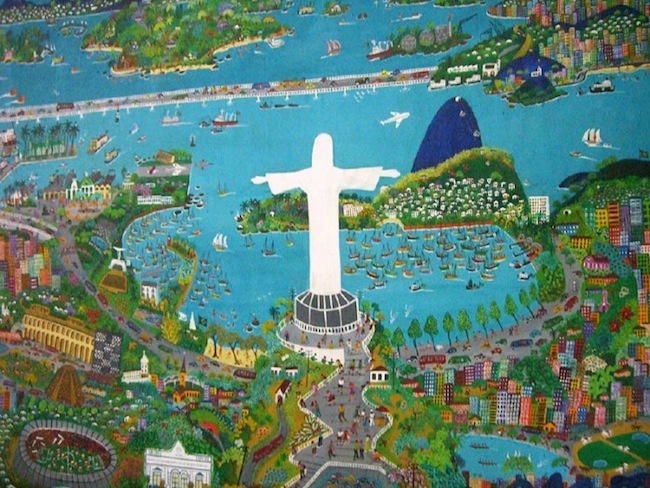 Among the highlights can be mentioned the large (4 x 7 meter) work of Lia Mittarakis, an often reproduced painting, portraying a vibrant Rio in a playful panoramic view with Cristo Redentor as the focal point. There are some nine exhibitions on and it’s also a great opportunity to get to know life in the “real Brazil”. The museum is located just a short walk from the Corcovado cog train – coming down from the Cristo Redentor, your ticket will ensure half the price on your entrance fee to the museum. Maybe not the museum you should put right on the top of your agenda, but if you’re well familiar with Rio already, or in need of an hour’s peace and quiet with beautiful views, or just in general ended up in the area and like some nice art, the Museu Chácara do Céu (K) is a perfect spot for a shorter break. Located in Santa Teresa in an enviable location with stunning 360-degree view of Rio Centro and the Guanabara Bay, it’s housed in a modern building from the 1950s inherited by the lawyer and industrialist Raymundo Ottoni de Castro Maya. Castro Maya was among many other things a patron of the arts and thanks to his privileged circumstances a great collector of art. The museum contains some 22,000 paintings, drawings and engravings, all collected between 1920 and 1968. Some of the highlights the museum is the owner of are the works of the Brazilian artist Candido Portinari, the largest of its kind in the world. It’s not the easiest spot to find among the winding streets of Santa Teresa, thus it’s advisable to do your homework properly and study the map before you venture that way. And whatever you do, don’t rush and don’t forget about the stunning views you’ll be granted from here. 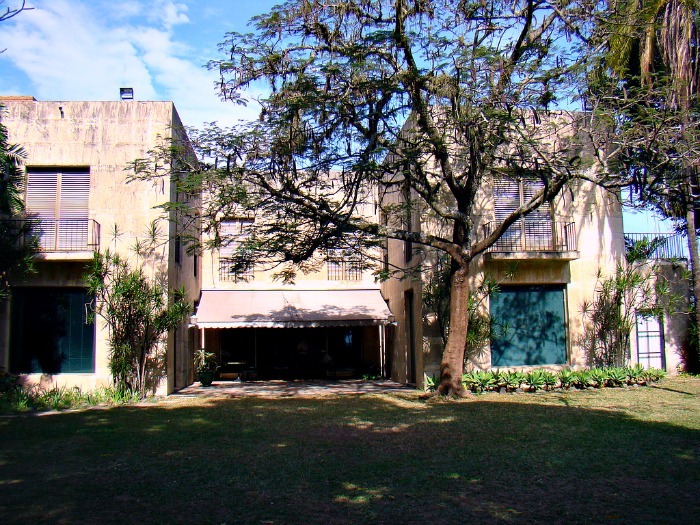 The LURIXS Contemporary Art Gallery (L) was founded by the Brazilian art collector Ricardo Rego in 2002. As per the own communication of the gallery, the main purpose of it is to encourage a fruitful dialogue between artists, curators, critics and of course the public, and in the first place it appreciates the exchange of ideas ahead of the commercial aspects of the artworks. 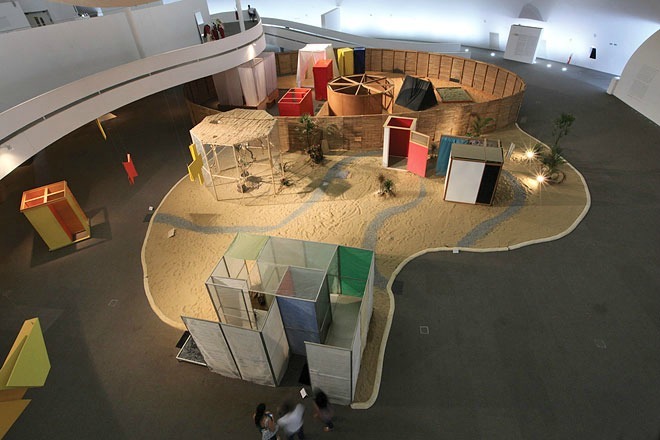 With over 50 exhibitions to look back on during its 12 years of existence, this is a stronghold for many famous Brazilian artists, such as Hélio Oiticica, Manuel Caeiro, Renata Tassinar and Raul Mourão. Many of the works exhibited here later made it to internationally renowned institutions such as MoMa, Centre Pompidou and Tate. Casa Daros (M) is one of the new art venues in Rio, just opened in 2013, when the Swiss Institute Daros Latin America moved its collection from Zurich to Rio. The collection consists of some 1,200 pieces of art and the reason for the move was to create a space for the celebration of Latin American art close to its origins. The gallery organises rotating exhibitions, usually in show for 3-6 months and the works of the institute are also on display in world-famous institutions around the world through partnership programs. Casa Daros is housed in a 19th century neoclassical building in Botafogo, completely renovated between 2007 and 2013. 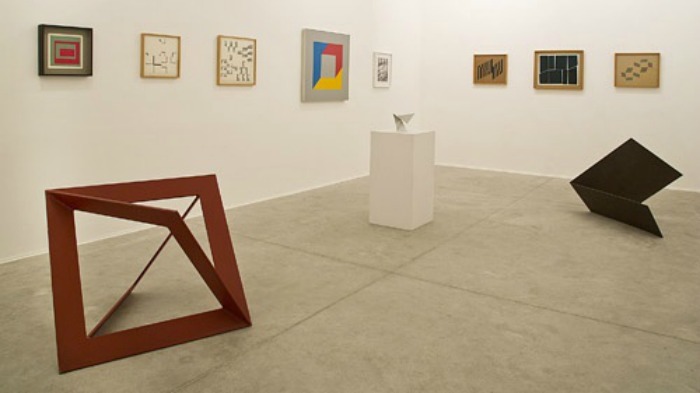 One of the longest serving private art galleries in Rio, opened in 1987, the Artur Fidalgo Gallery (N) is an institution that gladly profiles itself at the forefront of innovation and renewal in the Carioca art world. During the years the gallery has been promoting many up and coming artists, but also has a reputation for successful exhibitions of the work of established ones, such as Ernesto Neto and Victor Arruda. This is the former residence (O) of the collector and philanthropist Eva Klabin, who founded this place in 1990, by donating her collection of art and antiques she collected over 60 years prior. This is a vast collection, clearly showing the multifaceted interest of Ms. Klabin, with over 1100 works of art and antique pieces, from the ancient Egypt and Greece to China and it includes paintings, sculptures, jewelry and other silverware, furniture and other decorative works and mainly for those who appreciate travelling around the globe through the world of antiques and collectibles. Opened in 2000 with the intention to create a platform for less established artists, Galeria Laura Marsiaj (P), has demonstrated that it can be a centre willing to focus on talents. Its original space is still reserved for mainly local artists, while a new extension from 2005 serves more as an experimental space, ANEXO, for guest artists from around the country. The gallery is mainly exhibiting paintings, but also displays photography, installations, sculptures and video installations. Each year there are about eight exhibitions held, each for about a length of three months. Galeria Tempo (Q) is initiated and managed by three Brazilian businesswomen. 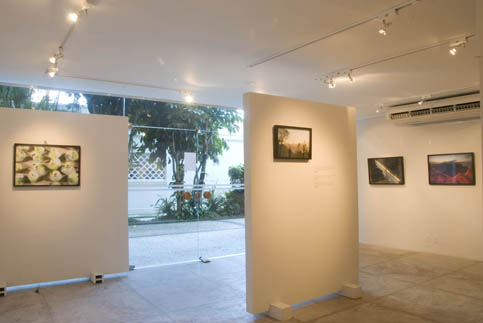 The idea behind the gallery was to create a place for the talents of Brazilian photographers and filmmakers. Galeria Tempo is exhibiting established artists, but just as likely up and coming talents. Galeria Tempo has been around in Copacabana, right on the famous Avenida Atlântica, since 2006. 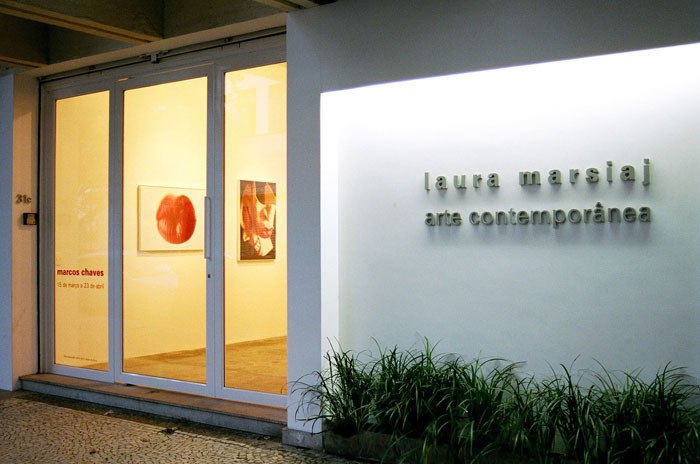 The Luciana Caravello Contemporary Art Gallery (R) has been around in Ipanema, just a block from the beach, since 2011. 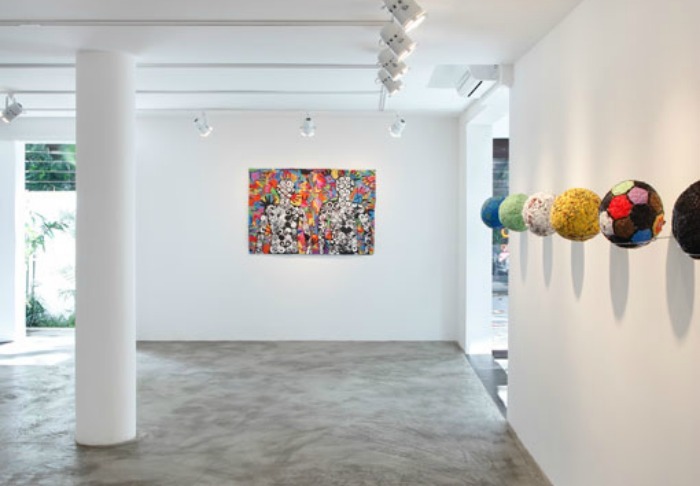 Prior to the opening of the gallery, Luciana Caravello has been an art dealer in Rio since 1998, representing many of the artists whom she later exhibited in the gallery. Located in a fresh and modern space, the gallery’s main idea is to highlight the work of established and up-and-coming artists with a special focus on avant-garde experimentation with a local focus. There are some 6-8 exhibitions taking place each year. 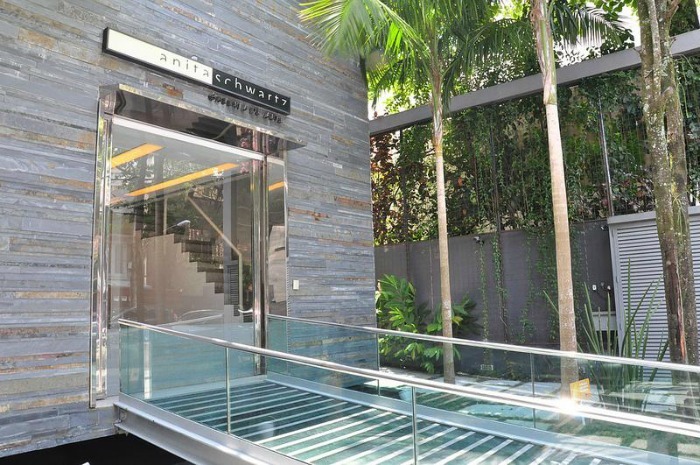 One of the most experienced people in Rio’s art scene, Anita Schwartz opened the gallery under her own name in 1998, after previously managing three other established venues in the city. Her gallery in the heart of Gávea (S) is divided over three floors, covering over 700 square meters. While her main focus is on Brazilian artists, she’s also taking in more and more international artists, with the purpose to widen the local art scene and create a dialogue with different influences. 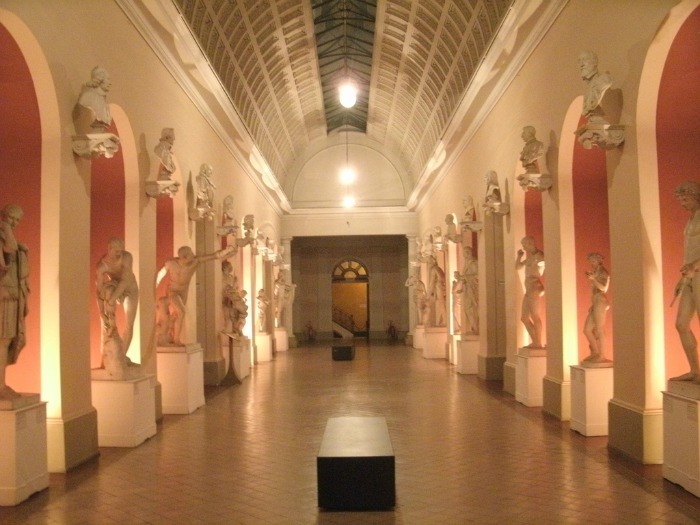 In general there are new exhibitions taking place every month in the main gallery, while there are also smaller exhibitions in side-halls as well. Another venue in Gávea is the Instituto Moreira Salles (IMS) (T), adjacent to Parque da Cidade. The centre has been around since 1990 with the goal to promote the development of cultural projects in five distinct cultural areas: photography, literature, libraries, visual arts and Brazilian music. Since the death of the founder in 2001, the family Salles is responsible for the management of the centre. The centre in Gávea is one of the components of this non-profit organisation that has cultural centres and galleries in three Brazilian states. The IMS in Rio is in the possession of an archive containing 80,000 photographs from the city’s history, but also of other Brazilian cities and regions. One of the main reasons why you should visit is, however, the impressive photography exhibitions the centre organises, often featuring the work of some of Brazil’s best photographers and artists. Are you a lover of photography, then you will end up falling in love with this place. There is also plenty of paintings and art in general around and the atmosphere is extremely peaceful, although not that easy to find. 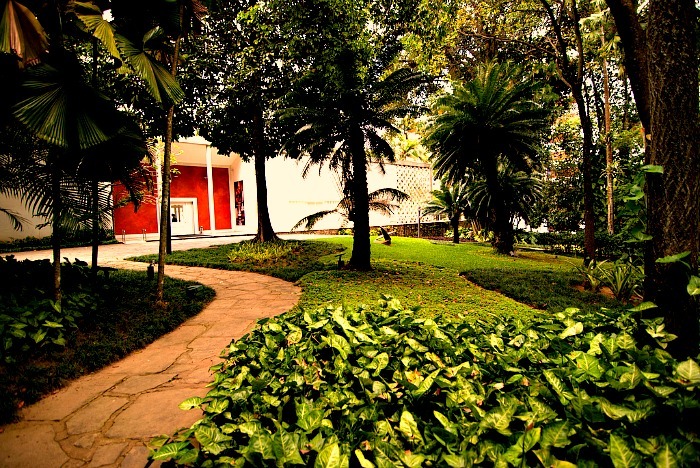 The garden belonging to the centre was designed by Burle Marx, Brazil’s most famous landscape architect. Maybe you wouldn’t expect it from a folklore museum, but the Casa do Pontal (U) can be considered as one of the coolest spots of the city. This most important folklore museum in the country was designed by the French architect Jacques van de Beuque. The focus of the museum is on a unique collection of some 8,000 sculptures and objects made by over 200 artists from around the country, interestingly enough with the focus put on the works of art rather than who the artist was behind it – a refreshing approach. This unique museum is original, relaxing and leaves the visitor with the kind of experience not found in many other places. The interior of the museum is very fresh with a lush and atmospheric garden and a great café. This is a museum that gives a good inside into the minds of everyday Brazilian artists, their quirkiness, humor and everyday inspirations. Unlike many of the other places from this list, the location of this museum is truly off the beaten track. Just to make it just a bit more special, it’s not easy to reach it without a car, but there are tour buses from the city that can be hired to take you there. Hope you enjoyed this guide to the galleries and art museums in Rio de Janeiro. What more, now you can take this information along with you on your trip to Rio, all that’s needed is to downloaded from our small business partner, Gumroad’s site. 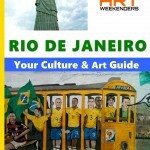 Art Weekenders Culture and Art Travel Guide to Rio de Janeiro is our first guide of many more planned. Do you think we captured them all? Do you think you will have time for them all? Doubtful, but if you are curious to know which ones we would recommend, don’t hesitate to drop us an e-mail, we’re happy to help. Also: we did our best to comb through the city to find all the spots of interest for the art traveller; however, if you know of a place we didn’t mention please let us know, in the comments below or by sending us an e-mail. Also, we are curious to hear how you like the different places once you visit them – thus come back, let us know – let everyone else know who plan on going in your footsteps.